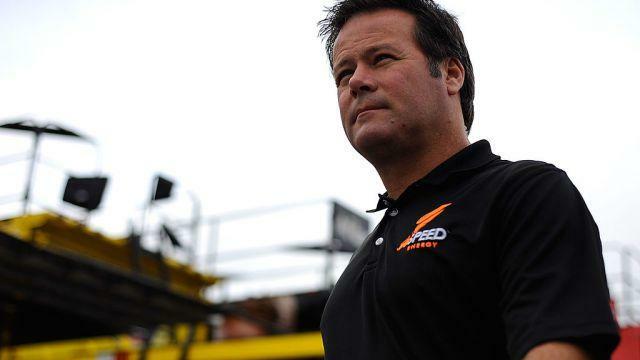 ORANGE, Calif. – The father and stepmother of former NASCAR racer Robby Gordon have been found dead in their California home in an apparent murder-suicide, reports CBS LA. Authorities tell the Orange County Register that officers responding to a call in Orange Park Acres, southeast of Los Angeles, found the bodies of a 68-year-old man and 57-year-old woman in a home around 5 p.m Wednesday. The coroner’s office identified the victims as Robert and Sharon Gordon, and CBS LA confirms they were the father and stepmother of Robby Gordon. A police spokesman says the causes of the death have not been determined, but CBS LA reports investigators believe the deaths are the result of a murder-suicide. An undisclosed weapon was also discovered. Police do not believe a suspect is at large. The younger Gordon currently races in an off-road series he created in 2013 called Speed Energy Formula Off-Road, following the path of his father. Known as “Baja Bob,” Robert Gordon was also an accomplished off-road racer. Another neighbor, Greg Saunders, said everyone in the area knew the family. He said Robert Gordon had a horse feed business and would regularly drop hay off at neighbors’ homes. “He’s a very nice, down to earth guy. He has his truck and he delivers personally,” Saunders said. Calls to representatives for Robby Gordon were not immediately returned Thursday. Gordon’s off-road racing team was scheduled to be in Orange County this weekend. Gordon’s sister, Beccy, is married to 2014 Indianapolis 500 winner Ryan Hunter-Reay. The driver tweeted Wednesday that his wife had given birth to a boy. Editor’s note: An earlier version of this story identified Robert and Sharon Gordon as Robby Gordon’s parents. They were Robby Gordon’s father and stepmother.